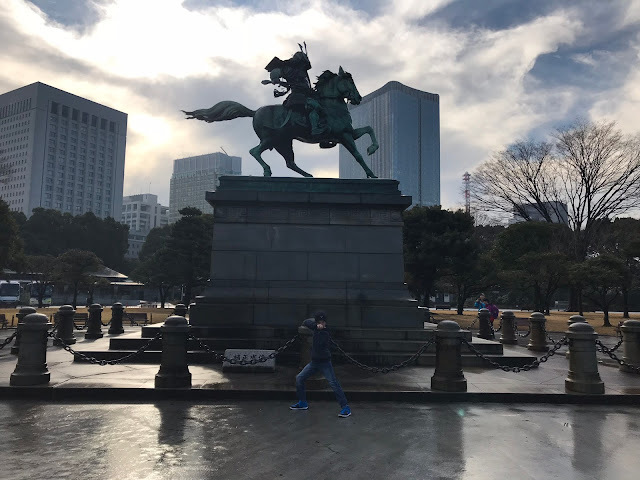 We embarked to Japan in Asia the early part of January 2018. Recap, we have voyaged. Our little family has become our priority. All others have fallen away. Our gift each year is and adventure. The years are flying by and the memories are adding up. This one was lovely so I will share it here. Japan. Wow! Whoa! Love! It's about time I get around to sharing some pics! And there are too many good ones. 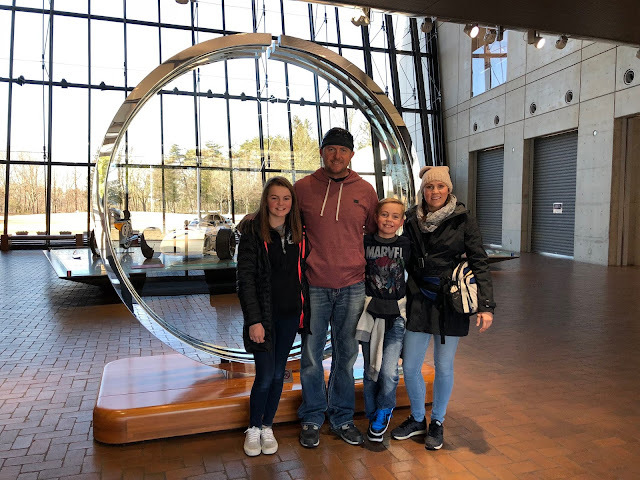 It has been so awesome to reflect back on our trip. We had so much FUN and made some good memories. If anyone is considering a Japan visit, we will tell you do it! DISCLAIMER: I personally have been trying what seems to be my whole life really to heal old wounds. Obviously going on a vacation to a place that no one you know personally has traveled is not a cure-all for any emotional damage but it is a great start! It is a great start because we get to practice our skills of love and understanding by gaining perhaps a new perspective. We get to do this for a little over a week without our normal responsibilities and distractions. 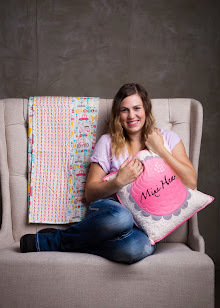 With the good of me sharing our experience perhaps with tips that might be helpful, you will also get a little extra personal details (might be good or bad, but I can not share the story without my feelings). 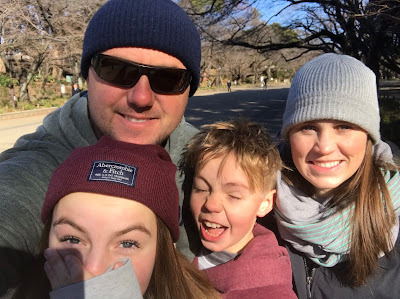 I feel completely blessed to be able to gift our family this and I don’t want to portray that it isn’t tricky and something we have to mindful of all year (we have to sacrifice some little things because they add up). I try with all my might to accomplish these adventures within the realities of our budget and time. I have complied the three places we have visited with the intent to share tips we have picked up through our travels. I have copied and pasted thoughts in each post for those that happen along one will still get the whole story. We have traveled now to Europe, Asia, and South America. Each trip has had it's unique experience. We tailored each trip to fit what we thought would be great for the area. We also have tried to right what might be considered past mistakes for future adventures. 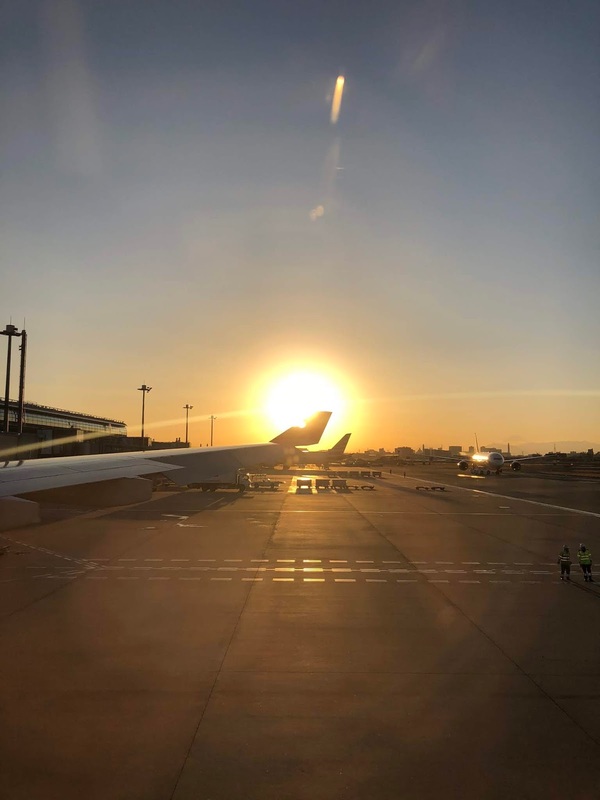 This picture below shows us arriving in Japan. We opted for one rolling suitcase and one carry-on for each person. We took two large suitcases to London and they were a hassle (so for this Japan trip we decided four smaller ones would be just the ticket). The small suitcases operated by each person was WAY better. They are small enough to squeeze onto the trains and saved many headaches. We stayed at a Marriott right near Tokyo Station. It worked out amazingly well. My only criticism is beds being small for two people. We really needed to have two rooms because we lost quite a lot of sleep tossing and turning and bumping each other. We rotated between the four of us and there was not a good combination. However, that was our mistake. If we had two rooms we would have fit perfect. The location was excellent!! We were only a short walk from the station. We even figured out how to pop out right near our Marriott entrance walking underground from Tokyo Station (which was about a mile underground, just imagine that there is a complete little city underneath the station... amazing! We were even more impressed with ourselves when we figured out how to pop out at 7-11 then go back down and pop out by our hotel, lol.). This was nice for a few of us that preferred to stay out of the brisk morning/evening air. DISCLAIMERS: I am posting this to be an informational guide for families/travelers similar to us with budget/time. I don't go into detail about the sights by posting about each location. 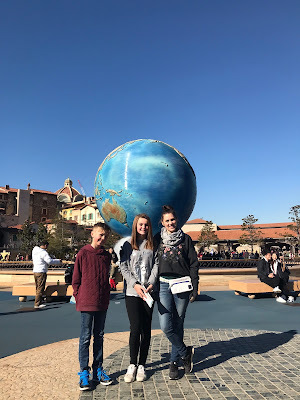 If you are curious about where we went simply search that (Tokyo, Kyoto, Honda Collection Hall, Tokyo Tower, Tokyo DisneySea, Tokyo DisneyLand, Tokyo National Museum) and you will find plenty of information. 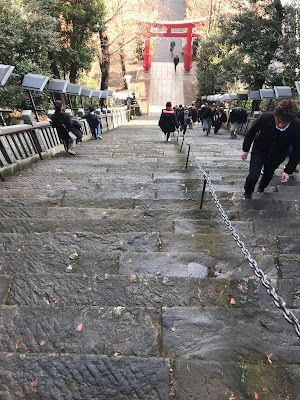 I am just sharing an informational guide about cost/how we navigated/details that I had a hard time finding when searching other travel guides that would have helped me. I have provided links to our accommodations/tours the best that I could. I can confidently say that we sampled wonderful parts of Japan. 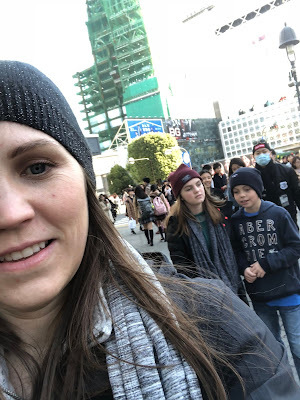 I would loved to have stayed another week in Japan. There were so many more places we were additionally interested in. Also, it was so convenient to travel throughout Japan, with more time we could have went a little more north and south to visit those more distinct areas. Japan would be a lovely place to revisit, so maybe. JAPAN: We reside in Utah. 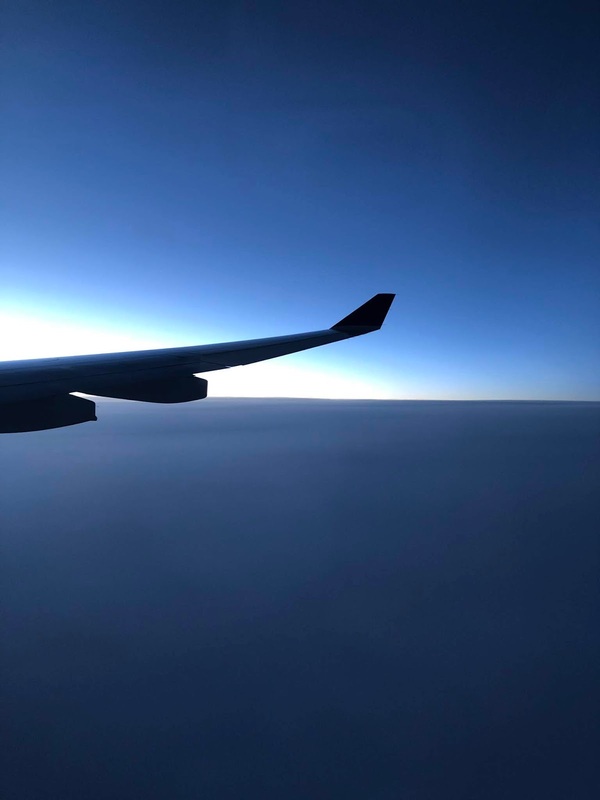 We flew from SLC to PDX to NRT leaving 8:25 am then arriving the next day 3:35 pm in Narita. 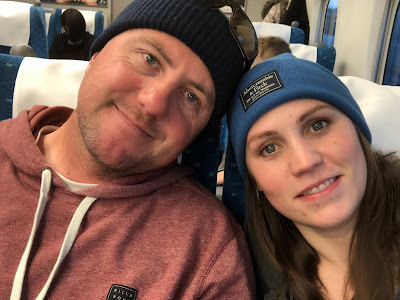 The first thing we did when we arrived in Japan was purchase a JRPass (Japan Rail Pass: We purchased three adults and one child for $850 USD or $92,566 JPY, I checked prices and they have increased slightly from when we traveled about a year later). 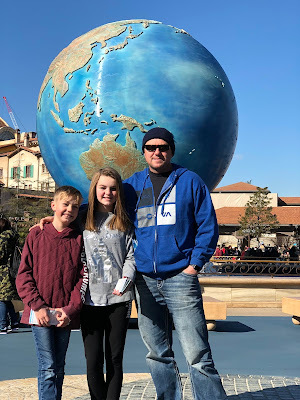 We purchased a 7-day pass even though we were in Japan for eight days. The last day we purchased train tickets to the airport because it much less expensive then upgrading to the 14-day rail pass. 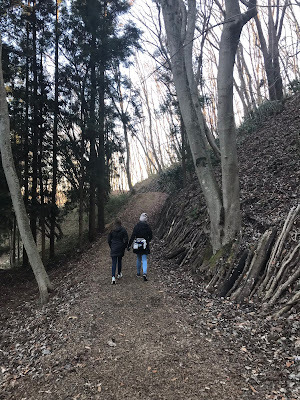 The reason we did this first thing was because we needed to get to our hotel but also because this is the most efficient way to travel all over Japan inexpensively. This is offered to travelers including most of the trains. There were a few close to our hotel that ran independently from the JRPass we couldn't use them without paying and also when we went to the individual towns we were required to buy bus passes for those towns. 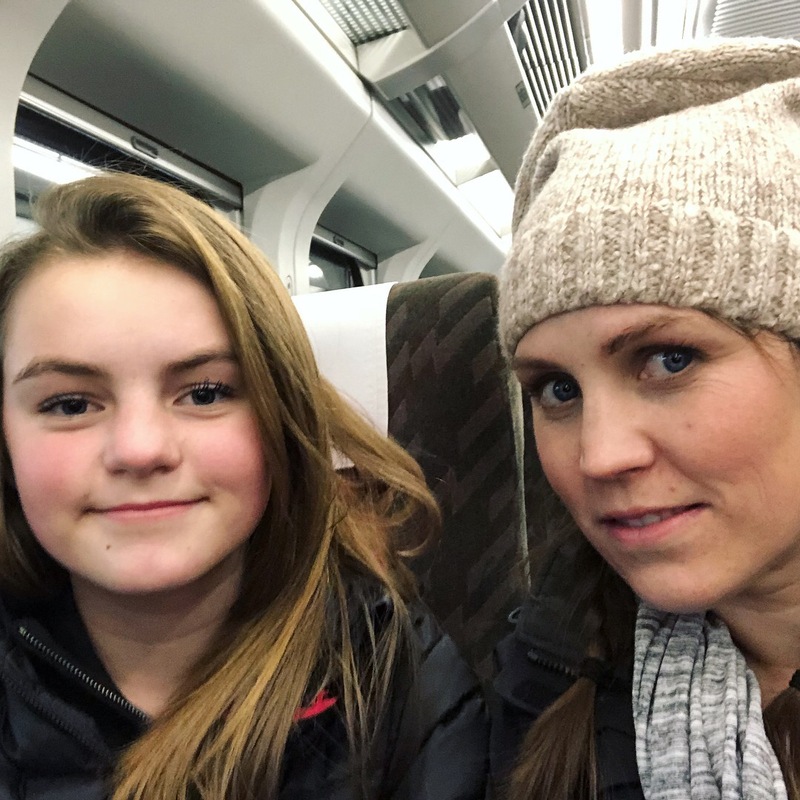 But the Rail Pass paid for itself with one trip to Kyoto for our whole family and we used them countless more times in addition to that. So you need to get a JRPass. 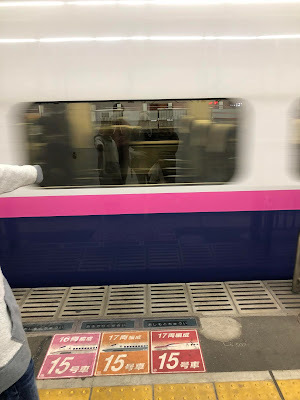 We took a train to Tokyo Station. 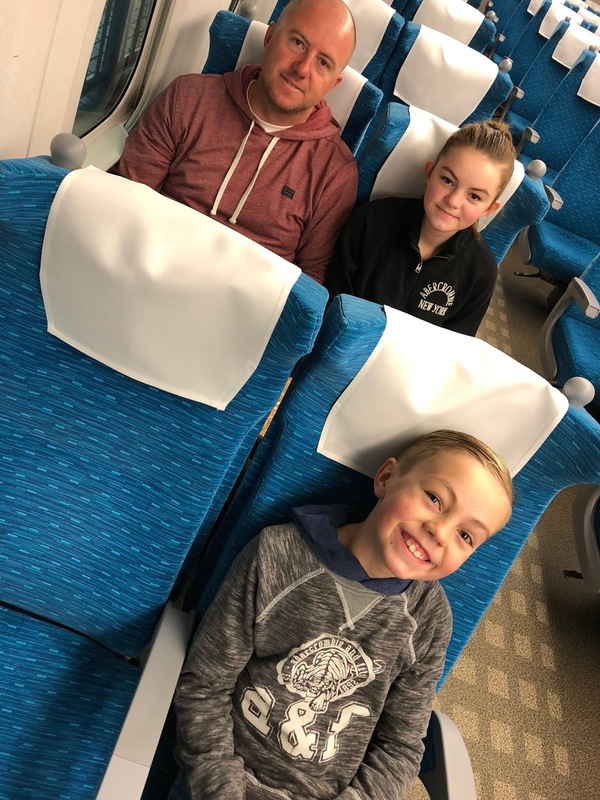 Traveling through Japan by train is a breeze. It is so simple to follow the maps throughout the train stations. The signs were all in Japanese and English. The Japanese names came very easily to me. 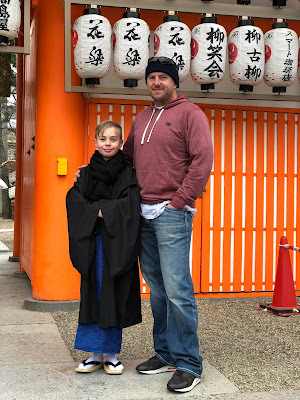 Weston struggled a little bit on committing them to memory (he is very helpful in Spanish which is not my strong suit at all so it was nice to be able to return the favor in Japan). Each time we travel to a foreign country I try my best to study up on the language. Japanese was awesome to learn. I enjoyed it so much and would love to continue practicing the language to one day speak it fluently. 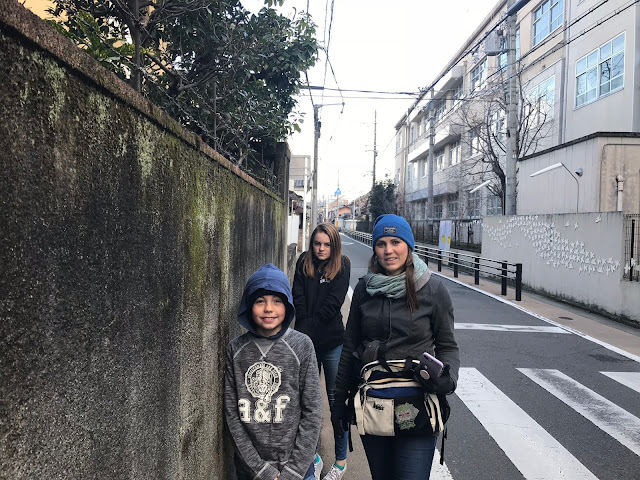 Our first day we ventured around Tokyo by foot. There are several things to see within walking distance from our hotel. We saw several beautiful parks/shrines on our way to and back from the Tokyo Tower. 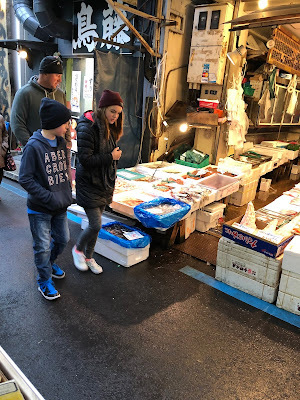 We also dropped by the Tsukiji Fish Market along with the Imperial Palace and Grounds. All of these places we were able to navigate to within a day walking and using the trains. We had in mind that if we wanted to return to any of them later during our trip we could. We had a wonderful time. 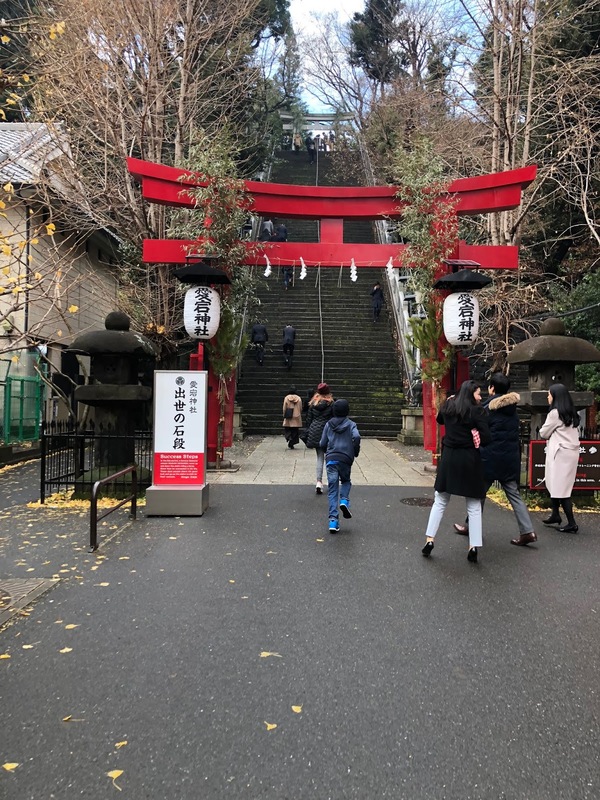 During January the shrines are being visited by the Japanese. They had food vendors were we could grab snacks easy during our travels. 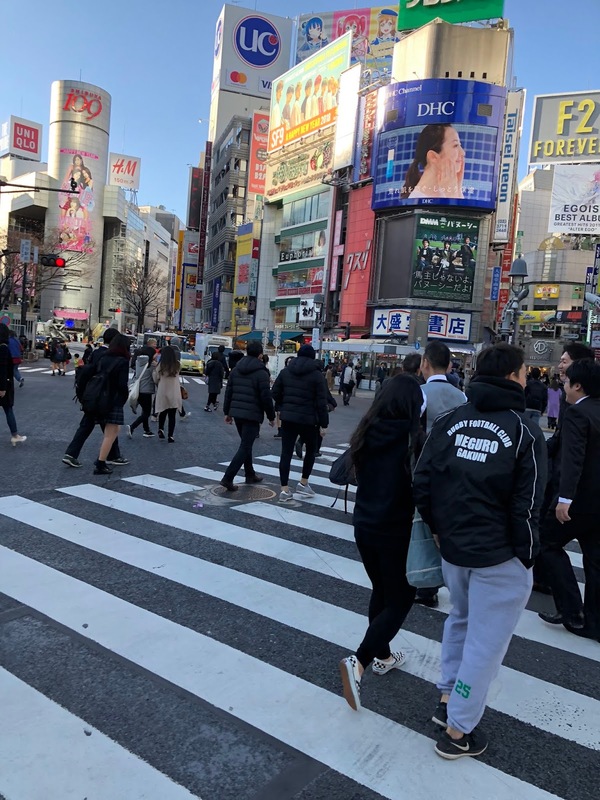 We stood out because the Japanese are dressed what would be business wear compared to our typical casual wear. It was interesting to notice those things and I have to say the more business wear does look very nice. The Imperial Palace and Grounds are beautiful surrounded by a moat and gorgeous stone wall. 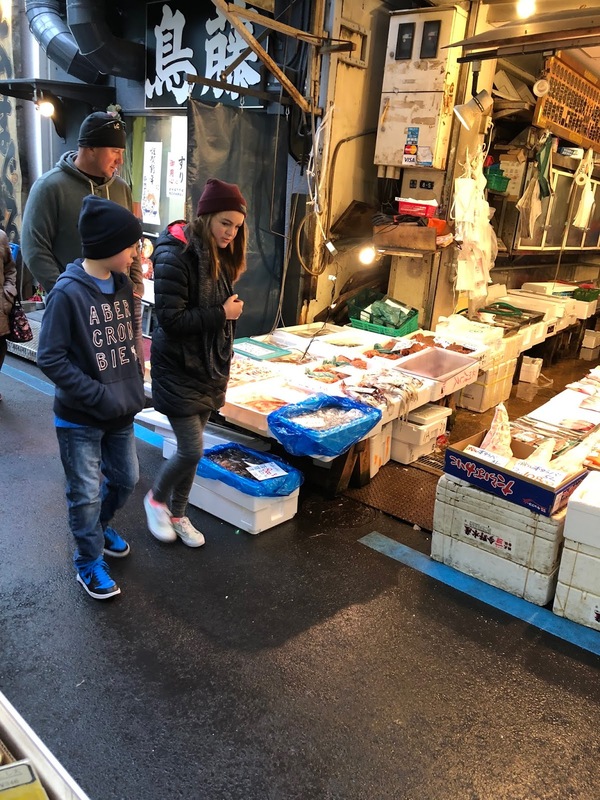 The Fish Market was so fun to visit! We saw all kinds of different oceanic delights. We don't get a lot of that living in Utah. We sampled a yummy plate. There is nothing like fresh! We have a few people in our family that don't particularly care for fishy flavors but when they sampled them they definitely thought it was all yummy. 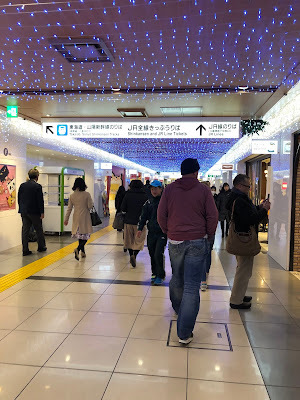 We did have to pay in Yen when shopping most small food venues and all street vendors (every other place accepted credit cards including all the shops in Tokyo Station). That is something to keep in mind. When we were traveling from the Portland airport we did trade our cash for some Yen. We didn't know whether or not we would be able to use our credit card throughout Japan. 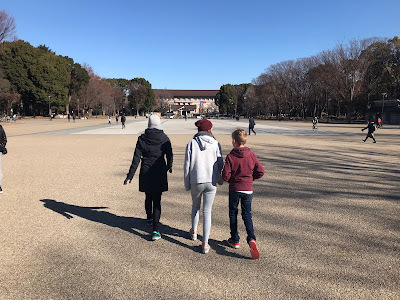 We found that within Tokyo we were able to use a credit card but when we visited outside of Tokyo in Kyoto we needed to have Yen to pay for food and activities. The next day we decided to venture down to visit Kyoto. 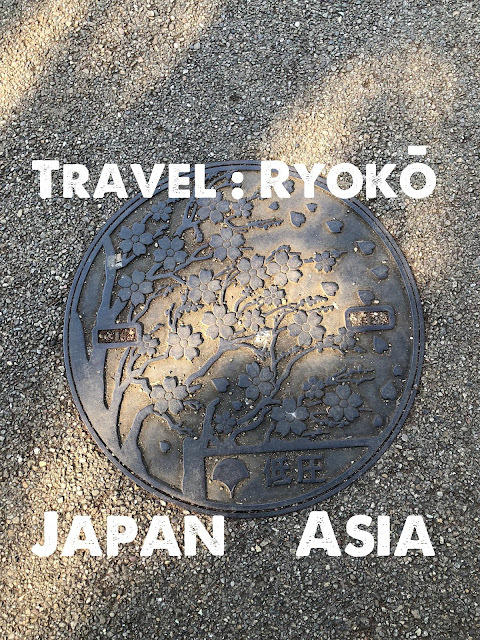 Kyoto is a southern city in Japan. 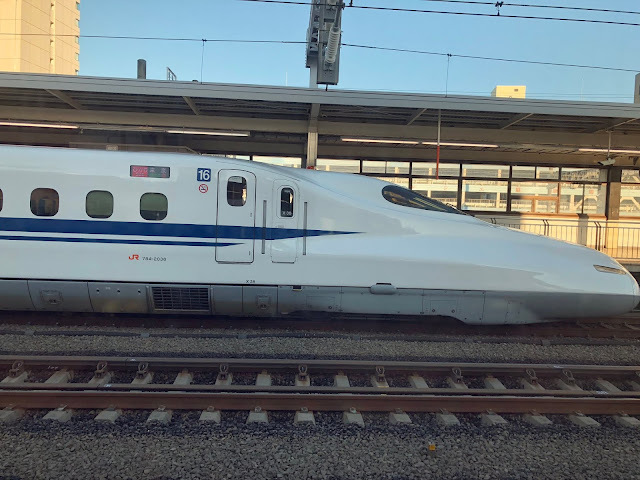 It took us 2 hours and 15 minutes to take the Shinkansen (the Shinkansen is a bullet train that travels up to 186 mph). When you want to take a Shinkansen train to Kyoto you would simply go in and purchase a reserved seat. These tickets would have the car number and the assigned seats. These are included with the rail pass so it would simply be scanning the card to get the tickets. With each trip we took outside of Tokyo the cars were practically empty (which made it even more comfortable). I didn't know what to expect because we were in the Standard Cars. WELL, they were amazing!!! I was shocked at how clean and comfortable they were. That is another thing to add is how CLEAN everything is in Japan. There is not a scrap of garbage anywhere. The trains were no exception. They were all so clean and it was shocking considering how many people used them everyday. 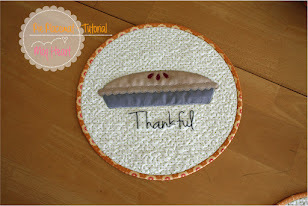 How in the world do they keep everything so nice? I was so impressed. The other trains, besides the Shinkansens would be considered more of commuter trains, were very easy to navigate. Some of the trains were a little crowded but would quickly unload. All of the Japanese people were incredibly polite. They are so efficient when they are entering and exiting the trains. It was always quiet as well. There wasn't talking on phones in the trains and when people were conversing it was in a whisper. They were very calm places to be. The trains also all run right on time and so frequently. Tokyo Station was such a lovely place. It was where we walked in an out every day/night after we were returning from our day adventures. We explored more and more each time. It has multi levels to get you to all the different trains that exit out of the station. 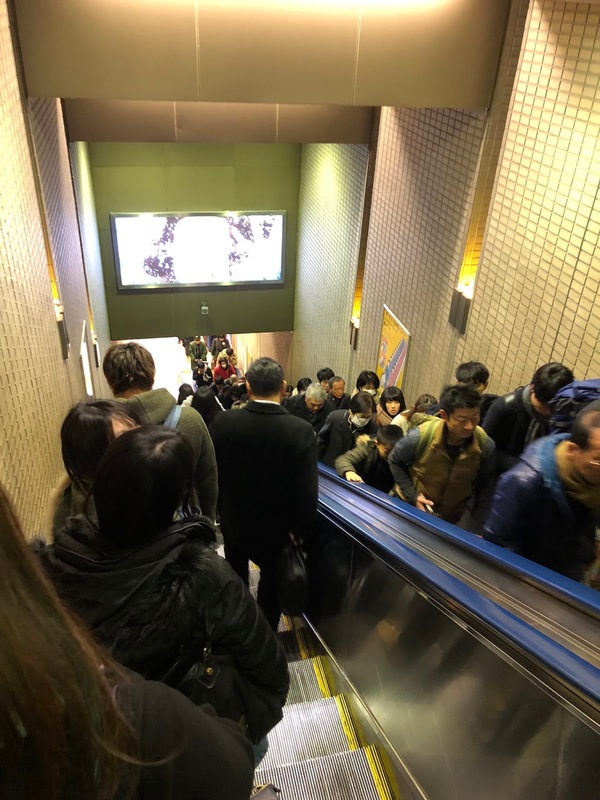 You could be taking escalators and moving sidewalks to get everywhere you need to be. I think it was day two or three when we realized there was a full blown mall in the lowest level of the station. We had an amazing time walking through the stores. They had everything a person could want! There was food, clothes, toys, books, restaurants, whatever your imagination can think of. We had a few meals just inside of the station because it had such a HUGE selection of restaurants. The neat part of the station is that the restaurants are represented there with other locations throughout Tokyo. They would have a clear map of where you could find them outside in the city. That made it amazing for us because we were eating at some amazing places just walking down a hallway, all in close proximity. These pictures are our day in Kyoto. We took the Shinkansen from Tokyo to tour around Kyoto for a day. 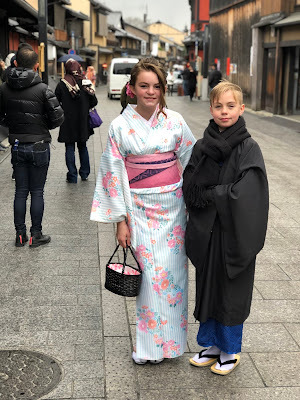 The kiddos dressed in traditional kimono. Weston and I almost died at how good the food vendors were near one of the temples. We had to buy an additional bus pass within the city Kyoto. They are all run separately. It was very affordable ($5.00 USD per person and we were able to pay with credit card). When we were navigating throughout Japan and also later in Colombia we rely a lot on our Cellular Phones and maps. We typically turned off cellular and operated with wifi (when using maps we would turn cellular on to find the location and then off and it would still allow us to operate the maps without cellular showing our locations). They were so valuable to be able to navigate. 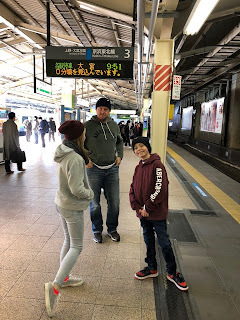 The neat part of using them in Japan you would get detailed directions about exactly what train you needed to take how many stops you had until you were at your destination. It was incredibly helpful. When we visited the shrines in Kyoto we encountered many Japanese outfitted in traditional kimono. 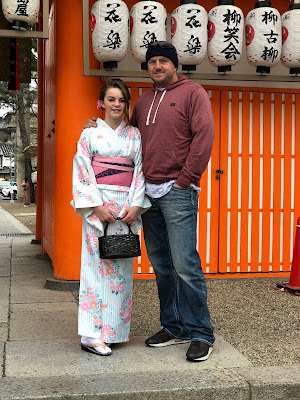 I knew that would be a wonderful experience for the kids to be able to dress in the traditional kimono. 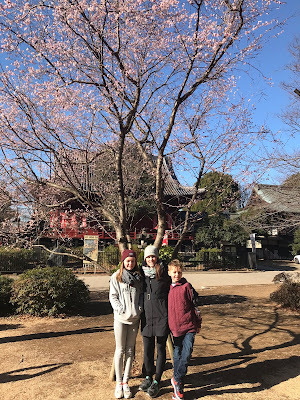 We found Kyoto Sakura Kimonos. They were so nice! 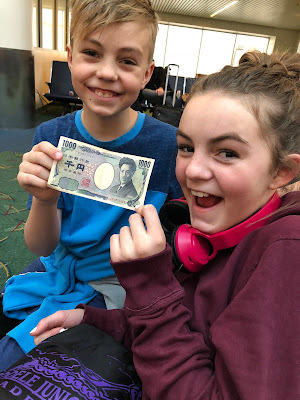 Unfortunately, we quickly realized we needed to get more Yen (they only accepted JPY). They allowed the kids to get ready and were okay with us taking the kids dressed while finding an ATM. 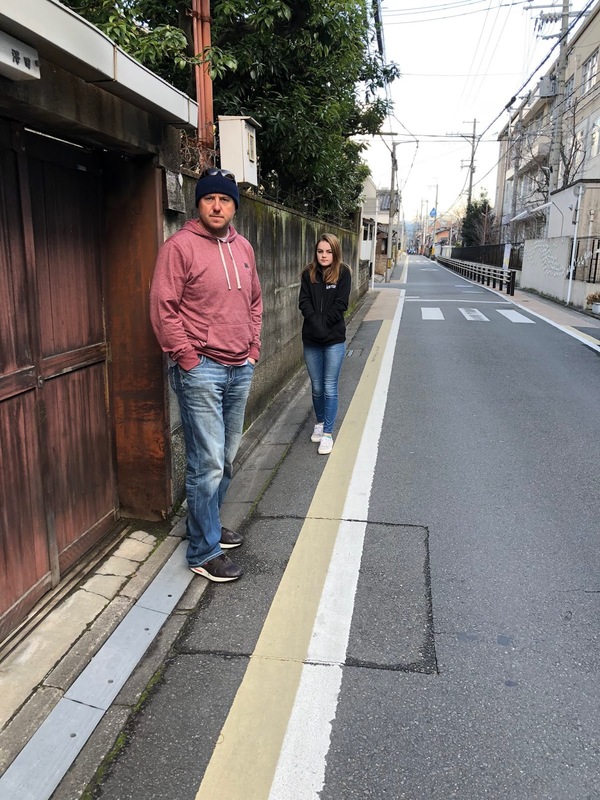 Weston was concerned that we wouldn't be able to find an ATM (We honestly should have planned out our activities prior and approximated how much Yen we would need for those that didn't accept credit cards. This was actually a great lesson because when we visited Colombia in South America we had learned that we really need to map out each day and guess how much currency we would need. We did amazing in South America and that is all thanks to the day in Kyoto when we were in search of Yen). We did find an ATM. 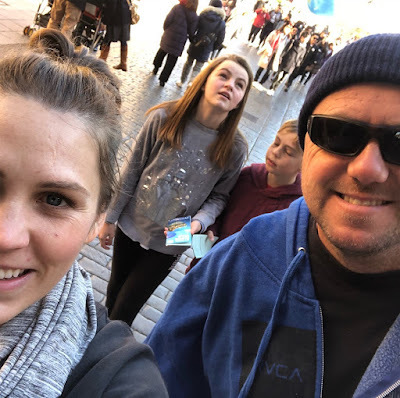 The bad thing about getting money in these situations we have found is they charge quite a bit and only allow you to get small amounts of money out. The best situation would be to exchange money at an US international airport for only $10 fee for $700 instead of $20 every single time you get out $200 in the foreign country, especially since some places they aren't readily available. Lucky for us in Japan they were everywhere, even though it was inconvenient they were within a 5 minute walk. So the kids were adorable!! 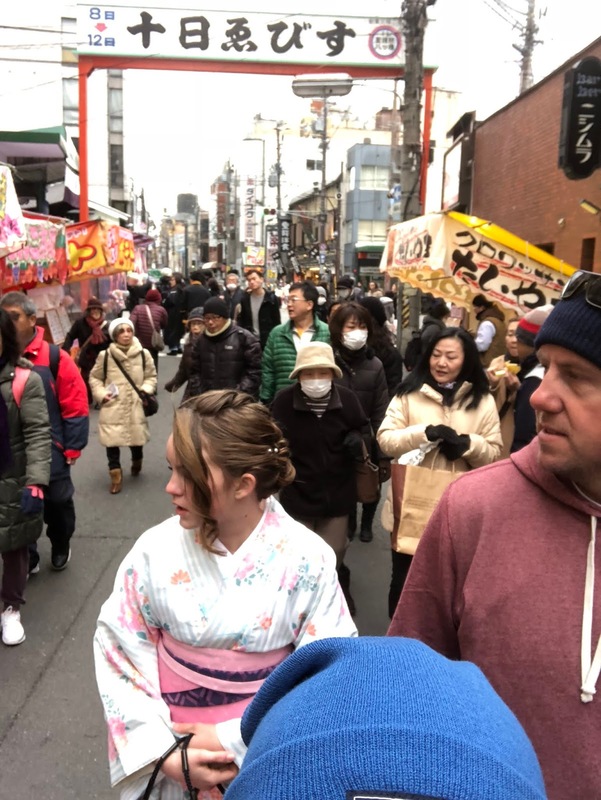 They were adorable in traditional kimono, so much so that the Japanese were loving it and taking pictures of them as well. The picture above there were about five different groups taking pictures of the kids. It was so sweet and they were so kind and darling to us. I realize that I am going to definitely butcher what these shrines were and what they were all doing visiting them during this time, but I will do my best not to do that. 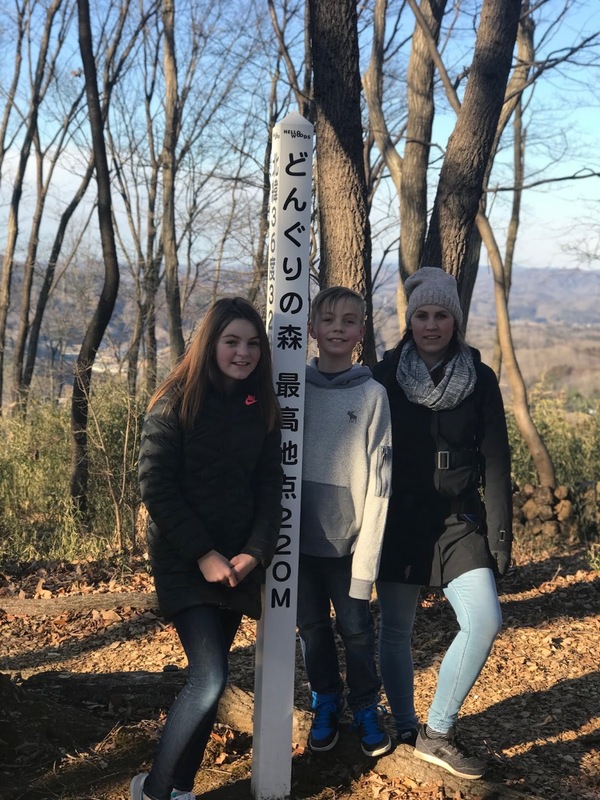 We didn't get this translated to us, as far as we could tell the Japanese were visiting the shrines to share their intentions for their families for the year. It could have been for more than that but that is what we observed. It was beautiful to witness. They were carrying bamboo and celebrating the new year. It was such a happy place to be with all of their energy all around us. It was a very amazing experience. Alex was so funny in his kimono. The ladies dressed both of the kids. There are layers of undergarments that are tied snuggly around the kids. Alex was directed to remove all his clothes to his underwear. He felt very drafty in the wind he said. He was cracking us up! We walked up and down the streets and sampled the food vendors all the while watching the cute kids walk in the wooden slippers. We had the very best food here! It was Mongolian BBQ. Man oh man it was delicious. I will eventually include a food tour of Japan and link it up when I have. We were pooped but happy parents. We returned to Tokyo Station where we ate dinner from 7-11. 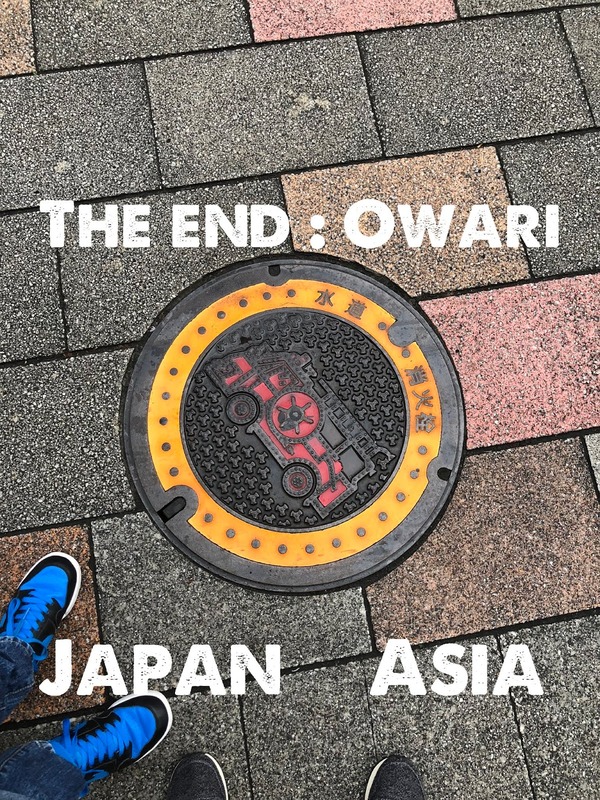 I know that sounds crazy but we did that a few times and even if we ate dinner we had a second dinner from 7-11 which will all be explained in the Japan food post. 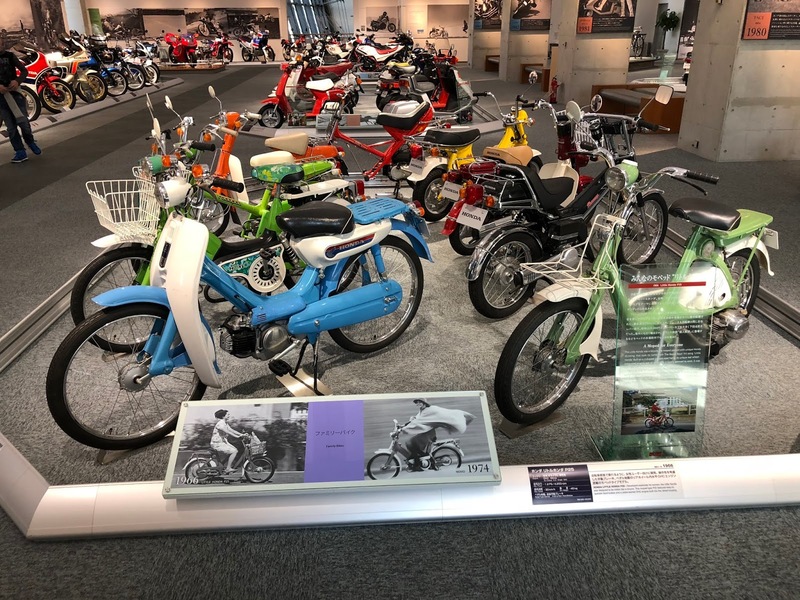 We visited the Honda Collection Hall in Motegi, Japan. It took us north on the Shinkansen. What a great day where we made some Canadian friends and were a little happy to speak English in an extended conversation. 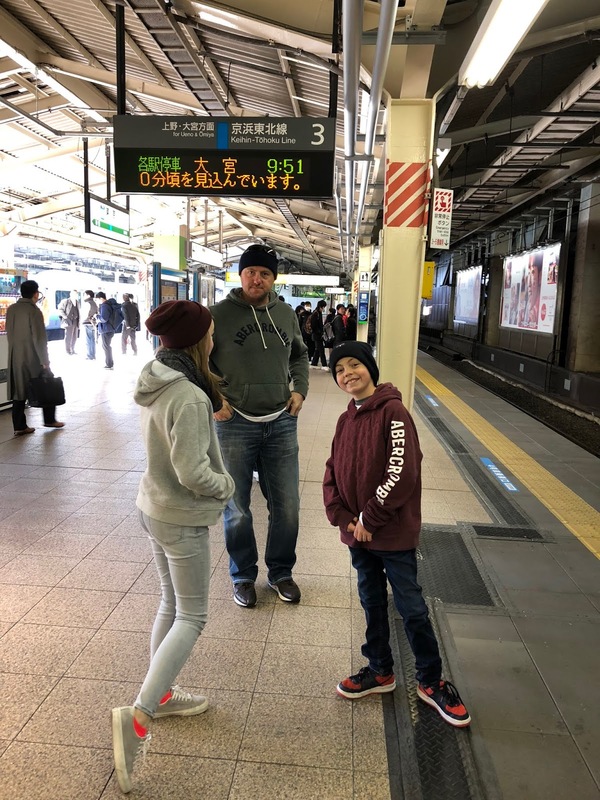 This was Weston's request here in Japan and it was the best idea! The Shinkansen rides were so relaxing. 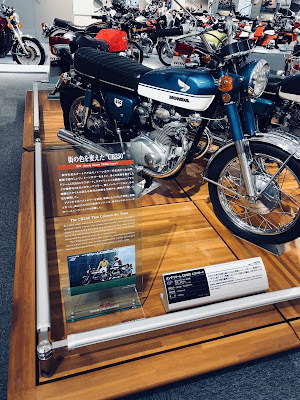 The tricky part about getting up to the Honda Collection Hall was the bus schedule. There is only one bus up and one bus back to meet the Train Lines. Luckily we encountered the Canadian friends that had a little more information than we did to fill us in on when we could return back or we would have been lost/frustrated/or left. The good part of the bus schedule was that we had more than enough time to enjoy the Collection Hall (we had to pay to get into the park for the package that included the facilities and the museum entrance fee, we paid additionally for the kids to ride the go-carts and mini-bikes, they accepted credit cards). 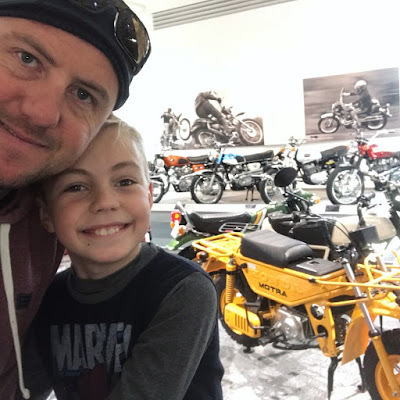 We are huge motorcycle enthusiasts in the states. We own/owned several Honda Motorcycles. It was such a treat to see where they started out. I loved everything this company stood for. To read the history was so lovely. I was so impressed with the founders evolution. The site was beautiful tucked up in the mountains and the motorcycles were just as gorgeous. I could take one of each. We also got to see Osimo which is just that Awesomeo! 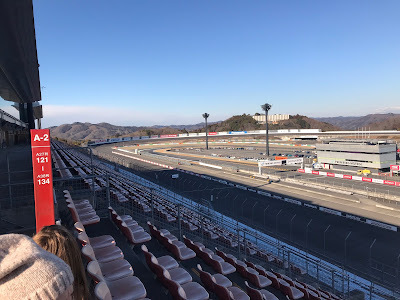 The site included the race track. We have one just like it where we live. It was special to visit this one here in Japan. With all the extra time the bus schedule gave us we explored the track and the nature trails and the kids' activities. 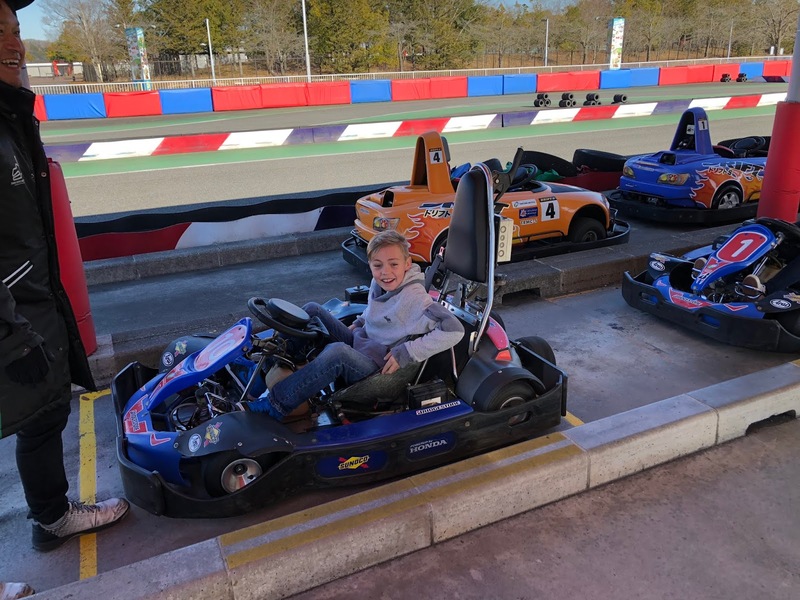 They were able to drive the go-carts and mini-bikes. The place was completely empty because we were visiting it during the week and I suspect because of the season too. They had a small cafe for us to have lunch. We ate with maybe three other families. They would have driven up and parked their car to visit the site. It really was nice to have the place practically to ourselves. During the bus trips up and back it was equally a fascinating part. We got to see more of the rural parts of Japan. We passed the rice plantations that were trellised up the small hills. 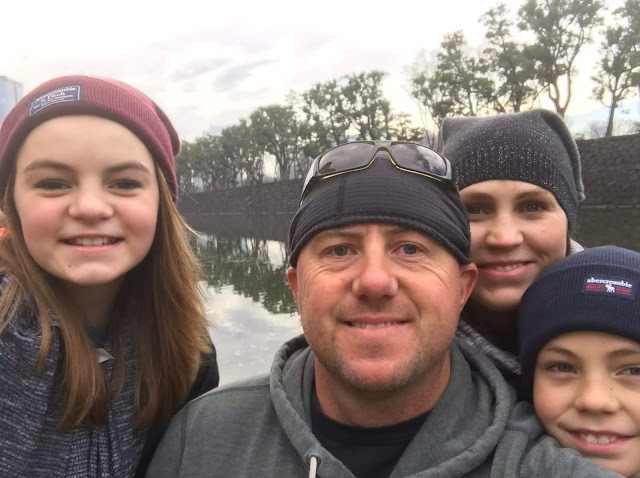 We got to see what the homes looked like for a family living in those rural parts. 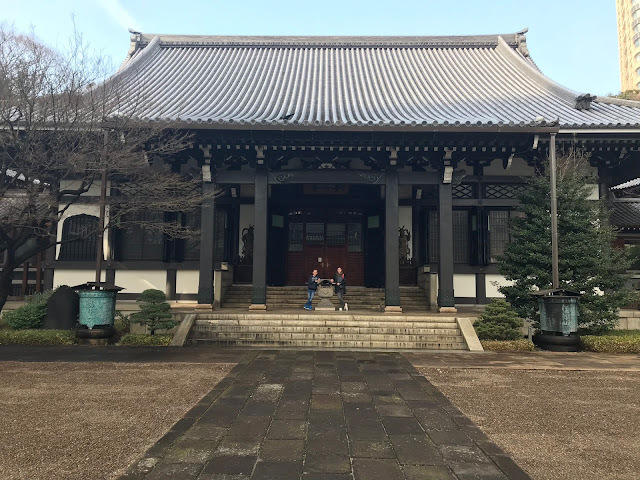 They were very Japanese in their architecture. 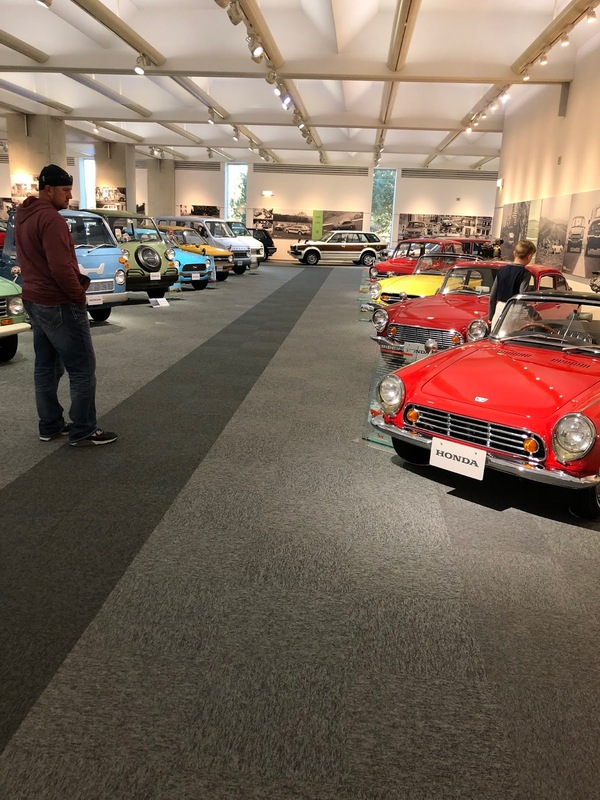 We got to see the cars that most people drove. 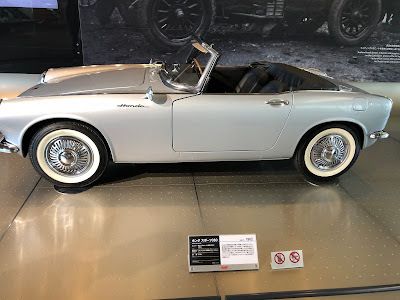 We noticed that most vehicles were small. We didn't see hardly any full-sized trucks. Even the large trucks delivering goods would be considered small to our US standards. We took the bus back to catch the Shinkansen to Tokyo (with our Canadian friends). Every time we caught the Shinkansen we would find our platform. Then once there we would snack up with hot chocolates, sandwiches, cakes, chips. It was so much fun! Everything was labeled in Japanese so we didn't have any idea what we were getting besides visually guessing. For the most part that does steer you in the right direction but on occasion you do try something unexpected. When in Tokyo you go to DisneySea, but we had to throw in DisneyLand too a couple days later because a Sunday most things were closed. 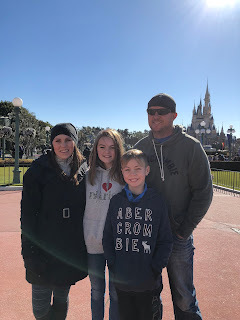 This was a neat part for our little family to experience. 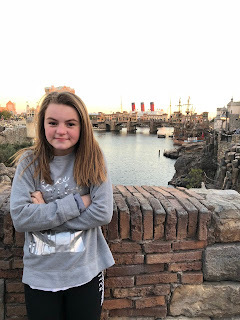 DisneySea is only in Tokyo so it was on the list to hit it. The kids loved every minute of this spot. 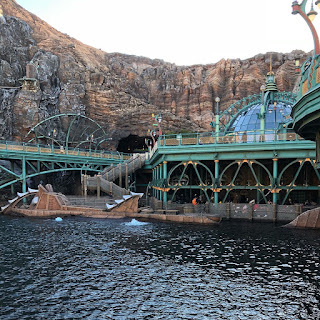 We went during the week to DisneySea. It was fairly empty. The lines for all the rides were short. We took advantage of the Disney fast pass. It was a joy. The park was stunning. Our favorite ride was 20,000 leagues under the sea. 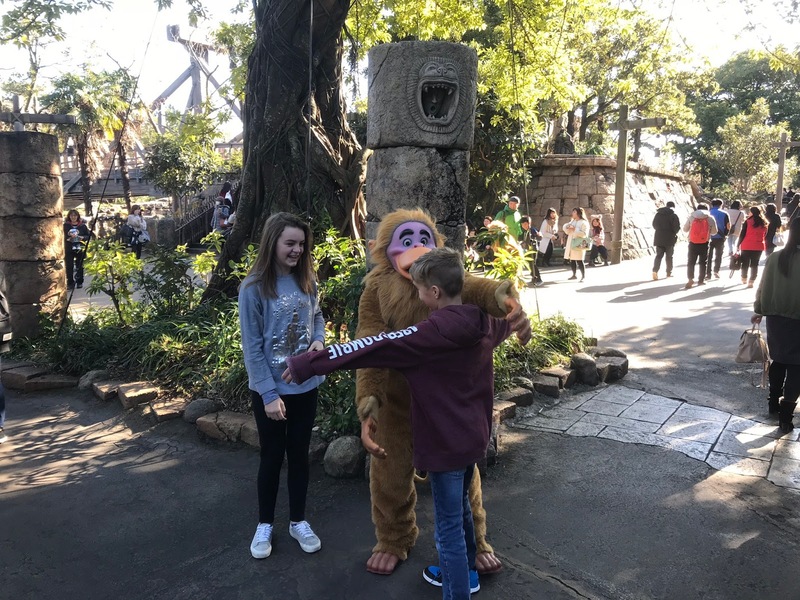 The cost for tickets to both parks were half the cost of what they are in the US (that was a bonus and we were able to pay with credit card). Alex was our most enthusiastic attendee and the rest of the group preferred the short lines of day wen and checking out DisneySea. All of the music/musicals/ride announcements were of course in Japanese. It was such an experience to be somewhere where only the foreign language is spoken. We thoroughly enjoyed it. 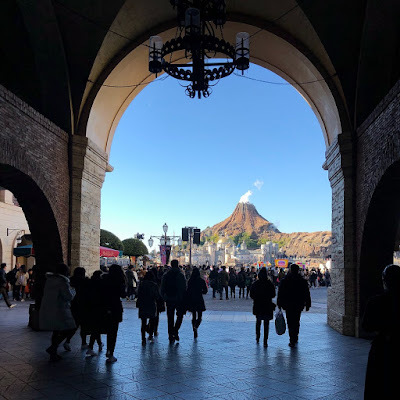 DisneySea has a volcano representing Mt Fuji as it's park center, darling. The rides were awesome! Disney never disappoints. It was a gorgeous park! I took an illegal picture during a ride because for heaven's sakes we needed a ride Pic but Alex was cussing me when the flash went off. The second visit was days later on a Sunday. We realized that several things would be closed on a Sunday so we opted to return back to Tokyo DisneyLand. 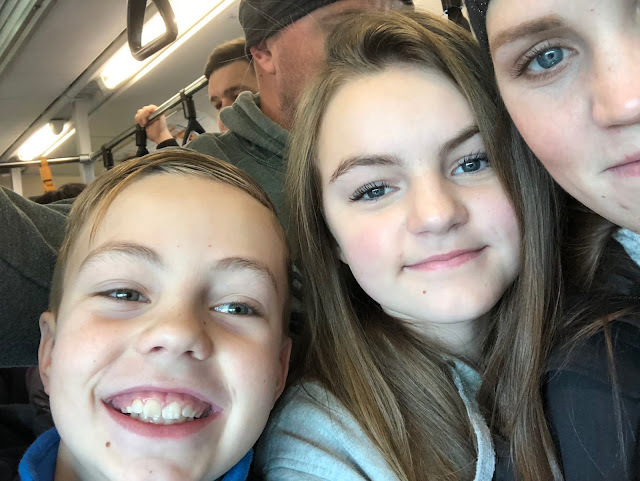 We realized that it was going to be a completely different experience right away because the train was crowded. Very crowded. I was really worried. But Alex was determined. 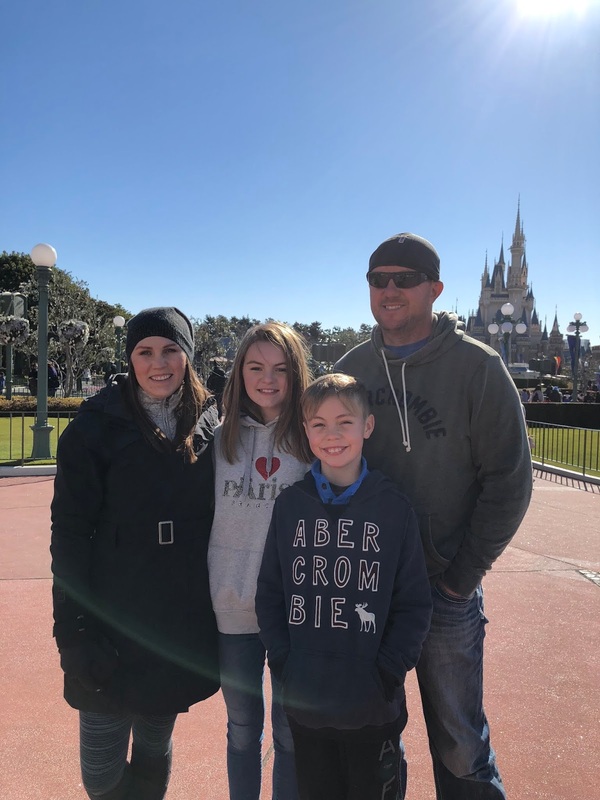 This was a short time of contention because our family isn't into crowds or long lines. And by the time we got into the park (getting in was easy but it was just a lot of people we could see flooding in) the lines quickly got filled up. For one ride it was an hour plus wait and then two hours. We were getting irritable. We kinda lost it as a group for a short while. But after a talk and then some attitude adjustments we were able to make the best of the day. 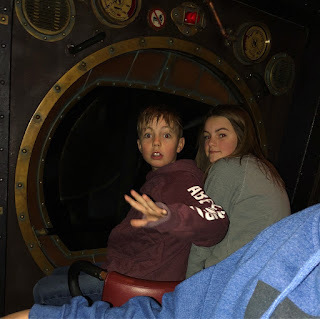 We realized that we weren't going to experience many of the rides and we just needed to use the fast passes to our advantage to experience the few that we would. We were able to enjoy a few rides and we mostly just had to take in the sights and eat a yummy lunch/snacks. 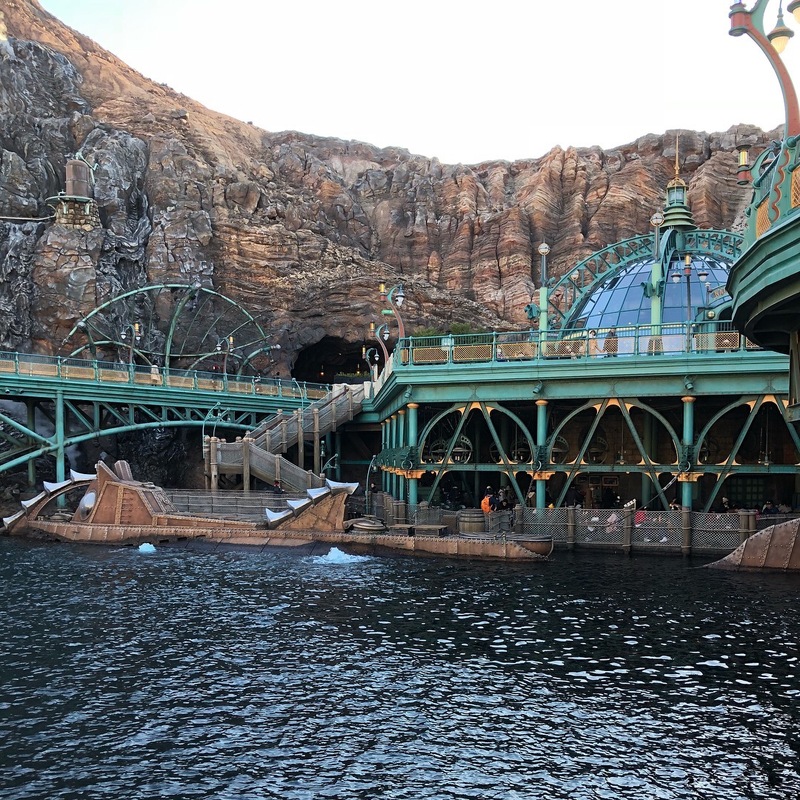 We didn't realize how good we had it the previous day at Disney Sea. 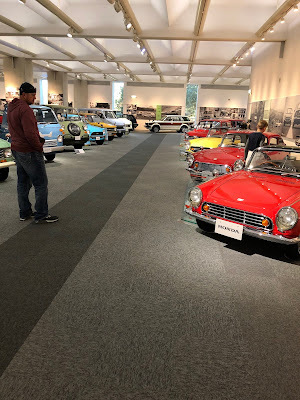 We were spoiled at the Honda Collection Hall having it all to ourselves so we just had a little shock to the system. 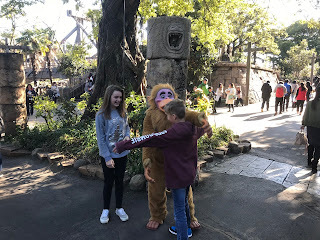 One thing a little unique to Japan was how we saw TONS of people twinning in Disney themed dress up. They were often times home-made (very very good I might add) costumes. It was a thing! There were even people wearing same shirts but it wouldn't stop there... it was same shirts, jackets, pants, shoes, hats, it was a complete full match. I thought it was awesome. They were so cute. Also, we were in line with the pigs from toy story so the costumes would even include support characters in movies from way back when. 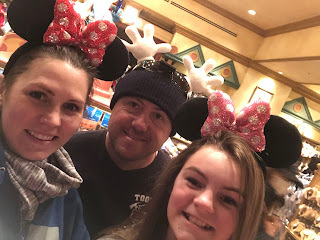 Our family... we thought we would only use mouse ears never again so we just took a pic with them in the gift shop (in comparison we aren't that committed as the Japanese, lol). Obviously, now I would have to twin with Cately and include the boys if we did it all again right! Japan, Japan, Japan. What did we love about you? The treats! The food! The hot chocolate from vending machines. We could have just made this a food tour and we would have been in delight. But you didn't stop there, the kind natured people we met and the beautiful scenery: natural and not. 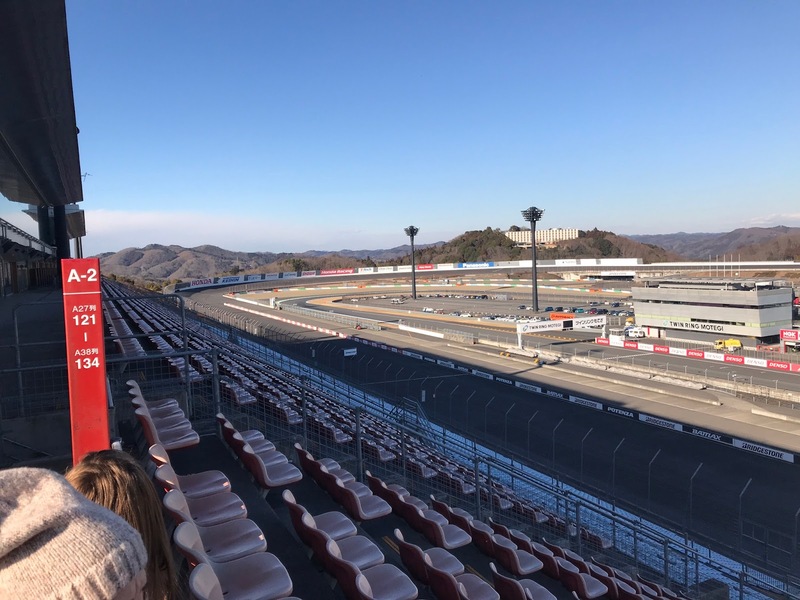 It was a cinch to get around and we saw bikes, motorcycles, scooters, and go-carts used more than we have ever seen! We fell in Love with you. We made it to some of the busier places to shop in Tokyo. We experienced the Shibuya Crossing. It was awesome! There is just floods and floods of people coming out of the station. It is so efficient so in no way is it overwhelming. The people are going places so there aren't lines or congestion it is just the ever-flowing sea of people. It was enjoyable. The shops are filled with things you can find all over the world. They also have some more unique things to Japan. One of the things that we found interesting is how many people wear colored contacts. They are something that we did indulge and bring home with us. It is just something fun to try. Some of my favorite shopping was in Tokyo Station in the underground mall. I still have this Strawberry Shop in my mind where they packaged the Strawberries so beautifully that I wanted to buy one just because they were so cute! They took showmanship to another level. I just remember looking at everything and admiring how much thought and care they would put into even just the packaging. Whenever we would buy anything it was carefully looked over to ensure there wasn't any damage. I purchased a stoneware rice bowl that was completely unpacked and then packed back up to make sure that it was perfect. 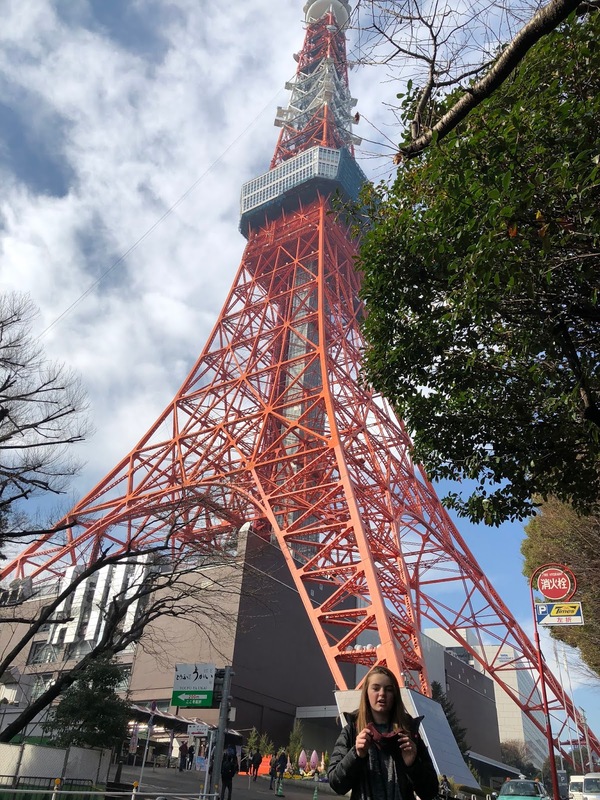 This was all done without any communication exchanged because we didn't speak Japanese. It was a beautiful experience. 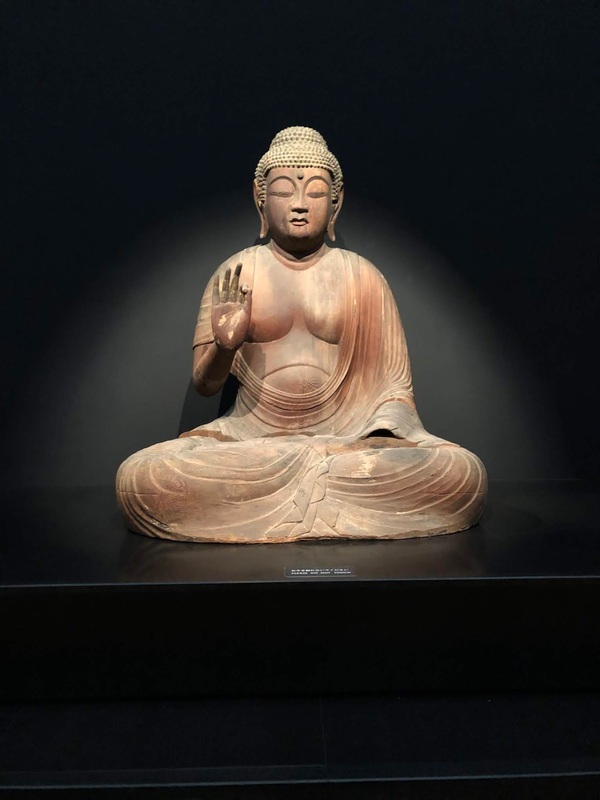 We threw in some history with the Tokyo National Museum. This was a nice place to visit. The grounds are enjoyable just to walk around. 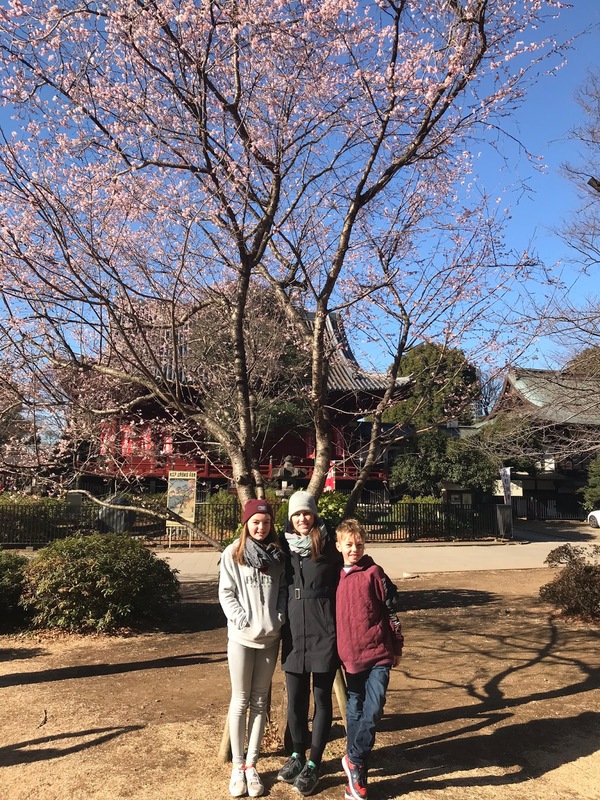 We found a Cherry Blossom tree that had partial blooms. 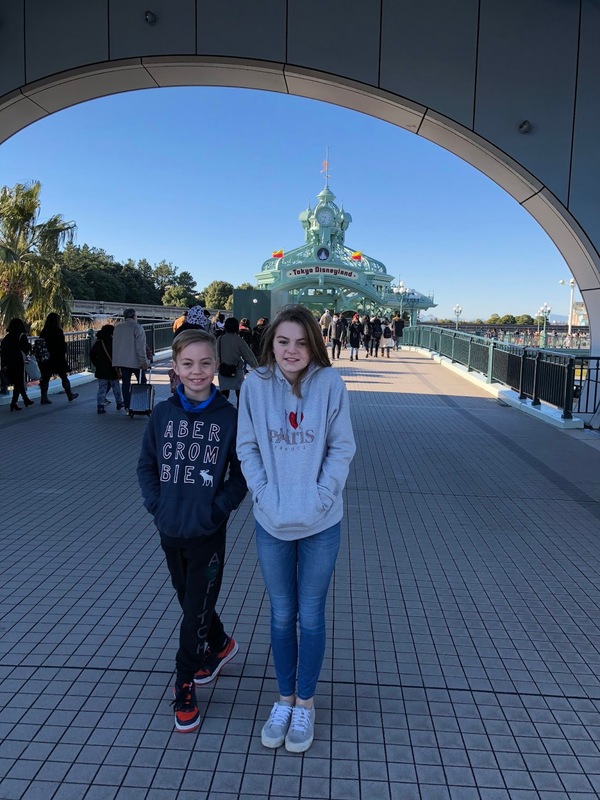 For all of the activities we participated in Japan the kids (ages 10 and 13) thoroughly enjoyed. We were able to receive a few discounts for Alex's age but anything over 11 is considered an adult. Everyone was so kind and treated us so wonderful. We were approached in the train station multiple times where the Japanese were wanting to help us. They would take us right to the platform we were searching for and then head on their way. It was so touching. I squeezed in a little fabric shopping with Cately while the boys went knife shopping the last morning we were there. It was a little nerve-wracking to travel separately. We had to buy tickets where we were headed because our Rail Passes had run out. It was actually really simple even though I was a little anxious about figuring it out. At that point I felt like experts. I know that we looked like experts because we were approached by several State people asking us for help the last days we were there. But you know what everything went perfect and we had a blast right up until we had to leave. And one thing to mention is that our little family happened to be twinning times two the last day so it was in Japanese Disney Fashion we left (christmas presents matched). The End: Just like on the way, we had to get on a long flight to come home. 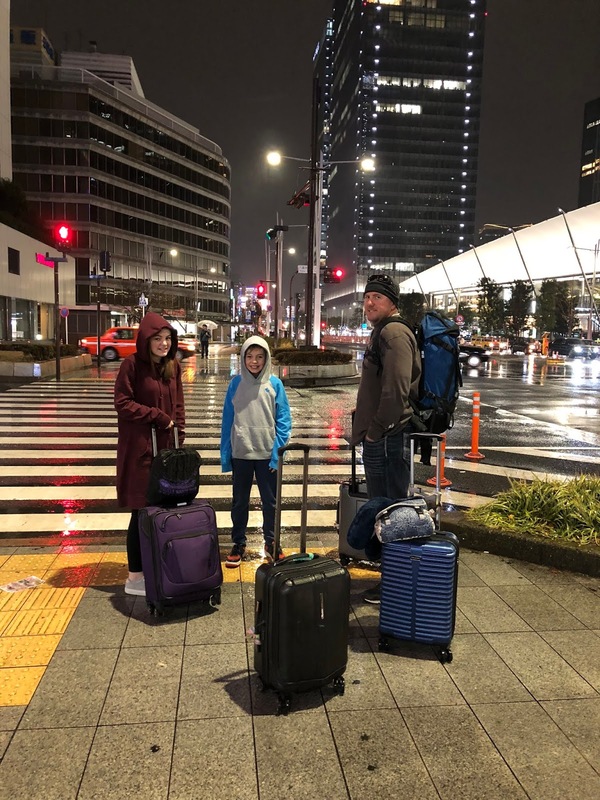 We woke up around 6:00 am packed, ran around Japan till 12:00 noon, grabbed our bags and headed to the airport to catch a flight. 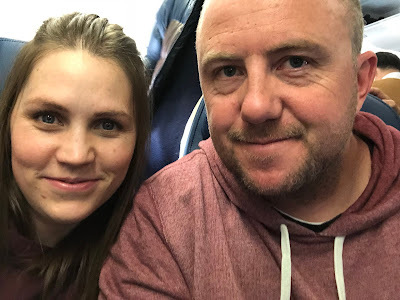 We flew 9 hours to LAX crossed the dateline, waited 2 hours, flew 2 hours to SLC = 24 hours awake, gathered our bags drove home, stayed up four more hours and then fell asleep 9:30 pm. Long DAY, Night, Day, Night. 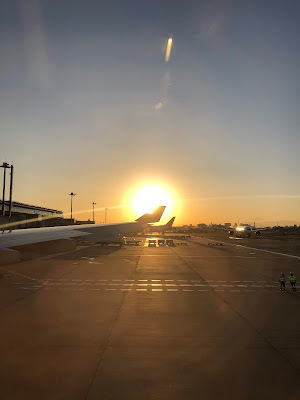 But the absolute best view of leaving Tokyo with the sunset and Mt Fuji, seriously one of the prettiest sunsets I have ever seen in my life and the pic doesn't even begin to do it justice... the pinks were incredible! Then to see the stars on the plane, then the sun daylight come back six hours later was and awesome experience. It felt like time was on fast forward. We returned home 4:25 pm leaving from HND to LAX leaving 11:35 am then arriving the same day 2:30 pm in Utah. The flight is always hard when you have those long legs. 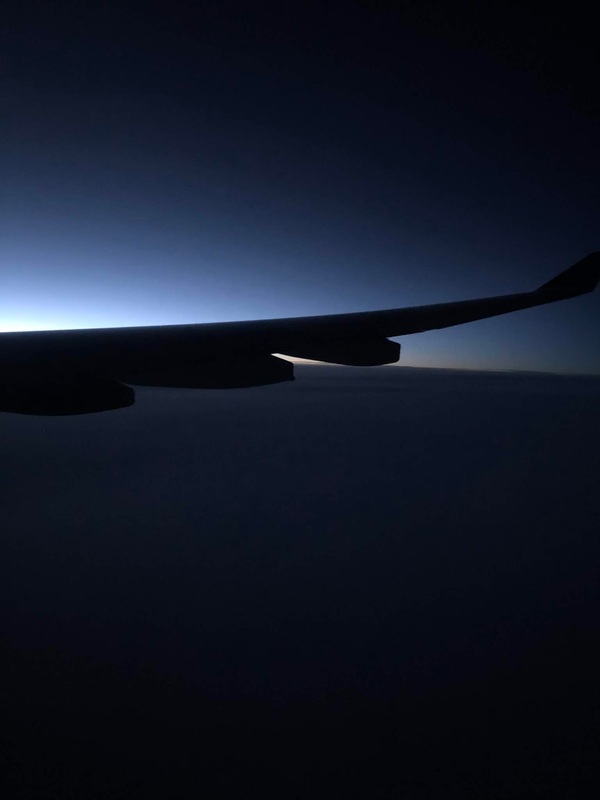 But it sure is worth those long flights to experience another part of the world. To wrap up our little vacation I will say that we thoroughly enjoyed this trip to Japan. We learned a little more about ourselves and a little more about Japan. I am always so surprised at how much a person can grow in such a short time. I look back now that we are back and I know we have changed. Watashi Wa & Owari : It isn’t the end though, it is just a blink.